XC: confidence-boosting sessions tailored to your individual needs, working on technique and position. 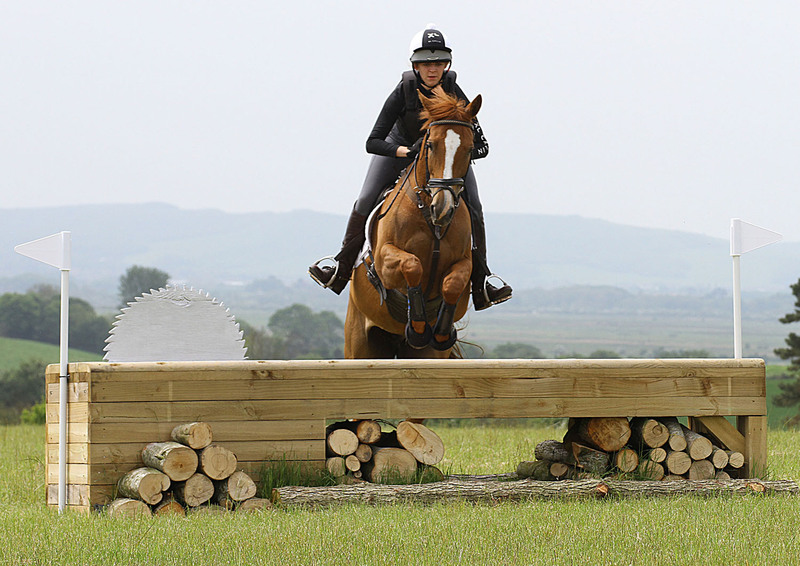 Confident Cross Country that's fun for horse and rider! Cost; £45 (individual),£40 for a shared lesson, including course hire. Obviously, with the British weather, there is always the possibility that we may have to cancel due to too much rain and unsafe conditions. However, we are hopeful that our ground, being on sand, will be as good as it gets and will allow us to go ahead. Should we have to cancel we will refund your fee. Once you have booked you are committed to coming; refunds can only be made with a vet's certificate or doctor's note. If you cannot come you will need to find someone to take your place or forfeit your money. If we have a Wait List we will do our best to help replace you. It is a condition of your booking that you accept these terms. The weather station is currently undergoing maintenance. Comphurst Field (the original field with the coffins, steps, water, etc) and Castle field (the one by the grass car park) are now both open for schooling. It may still be a little wet in front of the elephant trap inb Castle field and at the bottom so please avoid these areas. We spend a great deal of time getting the ground right and we kindly ask that people respect this and don't tear up the ground wantonly. Please park lorries on the hard lorry park (turn sharp right through the entrance gate from the road, then drive past the top of the barn, sharp left and park in a herringbone fashion with the front of your lorry tight against the barn. To leave, simply reverse and drive down and out the entrance gate). All trailers can park in the field car park. Emergency numbers; Post code for the car/lorry park and Castle Field; BN27 4RZ (same entrance as PGL). Postcode for Comphurst and Birches Fields (by the school/house) BN27 4TX (down Comphurst Lane next to The Horseshoe). Grid ref;Ref no 50*53'00.1'N 0*20'54.5'E Tanya; 07541032398. We strongly advise that everyone makes a note of these numbers and reads the disclaimer (see below and Ts and Cs) before they use the facilities. Our super set of FEI show jumps is now up in a roped grass arena. Photos to follow but a great chance to practice over a BE spec course. This facility is open; please book by ringing Tanya on 07541032398 * terms and conditions apply. Lessons with Tanya Reid BHSAI, UKCCL2 available over the course (see a biography of Tanya on our 'Trainer's Page') are available now. All standards up to and including BE Novice catered for. Tanya is particularly skilled at helping horse and rider with confidence boosting, working on technique of horse/pony and rider, and is a Pony Club and BHS Accredited Coach. Bespoke private lessons £45 (includes course hire), groups £40 and flat work ( Tanya is a former member of the TTT and a BD Trainee judge) £30, show jumping £30 individual (includes course hire). Obviously, with the British weather, we may have to cancel due to too much rain and unsafe conditions. However, we are hopeful that our ground, being on sand, will be as good as it gets and will allow us to go ahead. Should we have to cancel we will refund your fee, minus £10 for admin costs. Once you have booked you are committed to coming; refunds can only be made with a vet's certificate or doctor's note. If you cannot come you will need to find someone to take your place or forfeit your money. If we have a Wait List we will do our best to help replace you. It is a condition of your booking that you accept these terms. Click on 'Booking', find the day you want to come, click on the purple icon and follow the booking process. Select a start time and stay as long as you like. There is no hidden booking fee to be paid at the end of the process. IF THE SYSTEM SAYS 'CLOSED' YOU ARE TRYING TO BOOK FOR A DAY IN THE PAST, IE FOR A TIME THAT HAS ALREADY GONE! You can book in on the same day that you want to come or for a day in the future. IT IS IMPOSSIBLE TO BOOK IN FOR A DAY THAT NO LONGER EXISTS. Parking is easy; just drive through the entrance gates and staight down into the car park. There is plenty of space to turn around. We have toilet facilities in the car park. 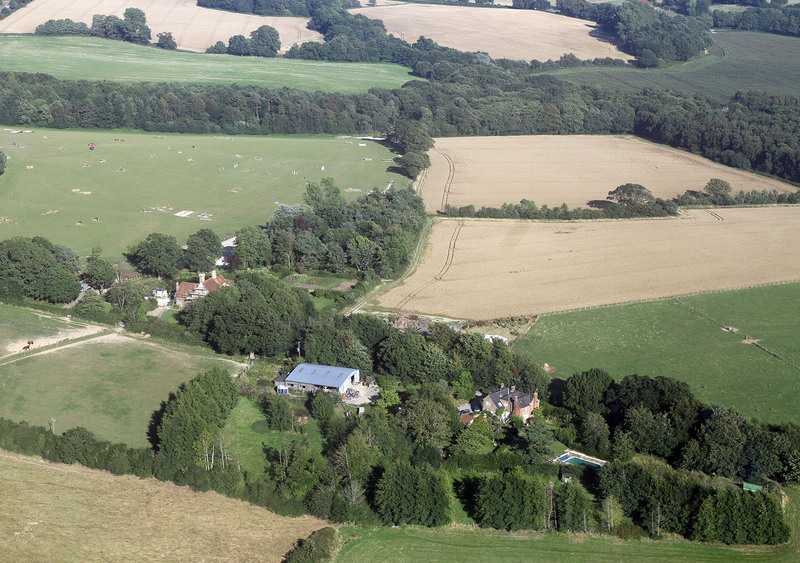 Set on our 300 acre farm, Comphurst Cross Country is a professionally built cross country training facility with over 200 jumps including ditches, skinnies, banks, steps, combinations, trakheners, etc, and a fantastic water complex. We offer regular clinics with BE and International trainers, as well as excellent rates for PC/RC, and hire of the facilities to individuals, whether you are a 4* rider preparing for Badminton or friends want a fun day out with your horses. See our gallery for photos or visit our FB page. Details of upcoming clinics are on this website. We have built many new jumps at different heights, adding more technical questions at 70/80 and also at 100/105/1.10+, as well as straight forward fences at all levels. To book the cross country click on the 'Cross Country' tab and then 'Bookings' and follow the process through. Please ensure that you are trying to book on a day that is current or in the future, rather than a day that has passed (you will be told 'Course closed' if you try to book for a day that has already passed). 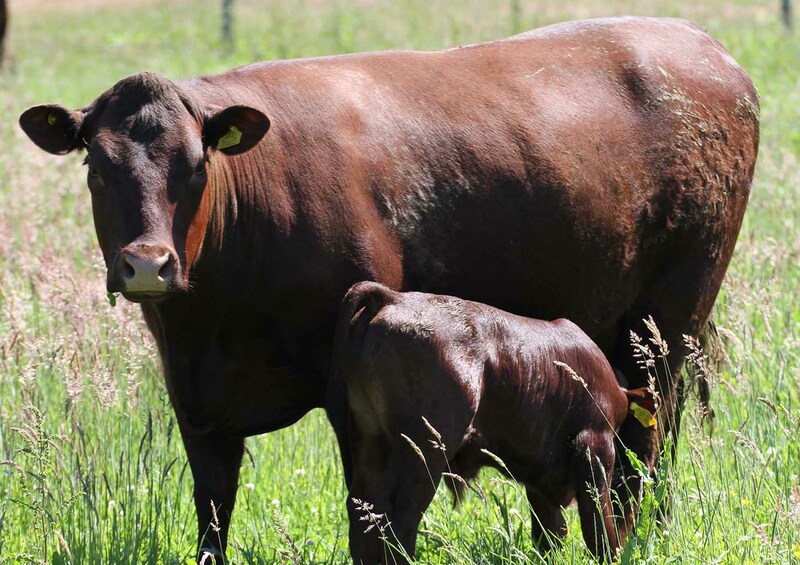 Copyright © 2019 Comphurst Farm. All Rights Reserved.